Andy was very good to deal with. Very personable. An excellent sales person. Roofing crew worked through the day. Good clean up. nice job. Andy is as personable as they come. He contacted me several times over the few days of the job to ensure I knew what was happening and address any questions or concerns. The house looks better now than when we bought it almost 20 years ago. My wife and I are thrilled! I hired Apex to do my roof based on their professionalism and thorough explanation of my roofing project. They were very reasonably priced as well. Apex completed our roof in December and the roof looks great. They did an excellent job with the clean up and the crew was courteous. Overall we are very happy and would highly recommend Apex. Dedicated, customer-oriented, clean, thorough job. One day service started at 0700 and finished by 1500. Andy very knowledgeable and thorough in set up. Delivered all as promised. Very respectful of property and grounds. Thorough clean up. Highly satisfied with look, price and service. Great experience from start to finish I would recommend Apex and would use them again. Roof and Gutters look great. Top quality work and cleanup. Great financing offer. Loved dealing with James. Everything he said he would do was done. Andy Deibel was absolutely wonderful to work with. I have referred him to numerous neighbors and a relative. I would definitely contact him again. Andy & James were absolutely fantastic to work with. 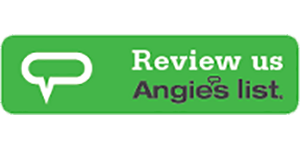 They took the time to review all of the options and gave us a great estimate. They kept me up to date before and during the project, and the roof was completed on schedule. The house looks great and I couldn't be happier with the work! Great Price, Job completed in 1 day! Professional Staff Andy had an I-pad program to show me how my house would look with different color and types of roof. I could see how my house would look with the roof I chose before it was done. My house looks Awesome!! Thanks Apex Roofing!! Andy was great! Excellent customer communication and quality service. Will recommend to others. Completed project in a timely manner without disruption and clean up was great! 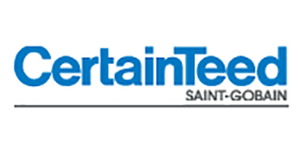 Most pleasant contracted experience from start to finish that we have experienced. 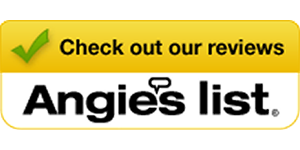 First time replacing roof and the reviews were helpful in choosing this company. Will use for any future needs. They worked with my insurance company and gave me great service and advise. their pricing was very reasonable and almost matched my insurance agents estimate. Highly recommend this company. Apex did an excellent job on our front and back roof replacement. Owners James and Andy were great to work with, I would highly recommend Apex. Andy is just a pleasure to deal with, through and professional. The work crew were great, they were polite and friendly, went right to work, kept the area clean and organized. Apex roofing not only did high quality work but exceeded my expectations in customer service. They worked closely with me on the planning of project and scheduled the job around my needs. The crew was courteous and knowledgeable. Upon completion you couldn't tell any work was done-not a remnant of debris was left. I would highly recommend James and his crew for any roofing needs. I highly recommend Apex Roofing! Our roof and gutters look amazing. Their attention to detail and professionalism went above and beyond my expectations. Andy is the best! He took the time to explain everything, checked on the job in progress and ensured we were 100% happy. Fantastic customer service! Apex Roofing was referred to me from a friend. My husband and I are very happy we had the opportunity to work with James. The entire project took less than 2 days and the end result was great. My roof needed replacement it was nearly 2 years old and they did a really good job. I liked how they delivered what they promised. I recommend them and would use them again. I will need siding on my home in the near future and already promised Apex I will have them do the work. Both owners James and Andrew were personally involved and made certain the work was done to our complete satisfaction. Two great individuals to deal with who went out of their way to make sure the job was done right. Andy and James were very professional and explained in detail what was needed to get my job done. There were some initial details beyond their control that delayed the project however they adjust the estimate to offset any inconvenience to me and the folks next door. I highly recommend Apex because of their competitive pricing, workmanship and customer service. I would recommend James and the Apex Roofing team for the excellent job they did on our roof. They did it all in a day, at the weekend, and the quality and the clean-up were first rate. Very competitive rates, and very friendly and easy to deal with. Great job guys. Andy was very helpful and completely explained what to expect. The crew was on time, efficient and ensured that all debris was cleaned. Even the dumpster arrived and was removed on time. Great job! I will recommend Apex to anyone needing a roof. The whole project was completely professional and worry free. First rate operation. Very responsive to your needs and were prompt on their follow up. Their crew did a fantastic job of cleaning up each day. You could hardly tell they were there except for the equipment. Great group to work with. Highly recommend them. Apex replaced my roof in 1 day and it was very professionally done. I got 4 quotes and James and Andy gave me the best value for the money with the quality materials and workmanship guarantee. James contacted me several times to make sure I was satisfied, and he explained all the extras and how they will make my roof last a long time. Highly recommended. Andy and his team do excellent work for a very fair price. Andy is very personable and goes out of his way to make sure you are satisfied. I would recommend this company to anyone that needs a new roof or roofing repairs. 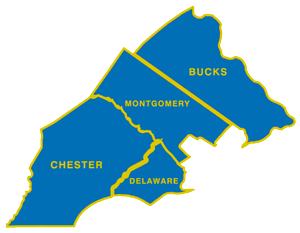 Serving Montgomery, Bucks, Chester and Delaware Counties in PA. 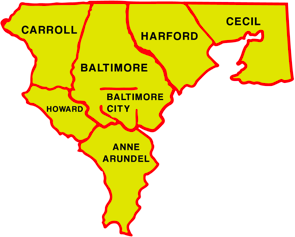 Serving Harford, Cecil, Howard, Anne Arundel and Baltimore Counties in MD.